Every journal and every conference will expect your research paper or proposal to be accompanied by an abstract. The abstract will be read first, and its quick clarity will strongly influence whether or not your work is further considered for publication or for presentation. The abstract is designed to tell a scientific story that is easily understood and can, in turn, be quickly conveyed to others. An abstract is an extract of the essence of your work. Abstracts are not summaries; they are more concise and clearer than summaries. Summaries are often organized chronologically; abstracts are not. Abstracts are built around importance. They give what was discovered, how it was done, how it fits with other research, and what it suggests for future research. They are an exercise in precise, accurate language. The difficulty in writing an abstract is that the abstract must be short - indeed very short. Most journals' instructions tell authors to send in abstracts of as few as 100 words or less. Conference abstracts sometimes require as few as 50 words. 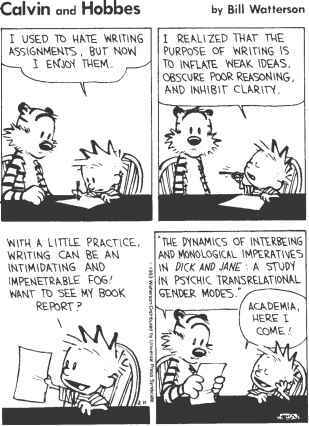 Writing a good abstract requires extreme discipline even from those who normally are superb writers of English. Writing an abstract requires unusual cognitive and linguistic discipline. Excess words must be carefully eliminated until the ones that remain ring true to fellow scientists' brains and to English-speaking ears. The clarity of the words will determine: First, whether others will read your work, and, second and perhaps even more important, if readers will accurately report its information to others. • Stay within or under the required number of words. • Have a colleague who knows your work well edit. • Check your word choices and structures against other recent abstracts in the journal to which you plan to send your paper, or against previous proceedings of the conference to which you are applying. Your abstract will be read by far more people than will ever read your paper. Consequently take the time and effort to polish it into a small perfect shining crystal of succinct information.